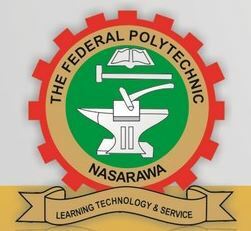 Federal Polytechnic, Nasarawa [FEDPONAS] Full Time National Diploma First [1st], Second [2nd] Batch Admission List for 2018/2019 Academic Session Out. This is to inform all candidates who applied for admission into the various full time national diploma programmes of the Federal Polytechnic, Nasarawa that the admission list for 2018/2019 academic session has been released. 1. Visit: http://www.jamb.org.ng/efacility/ and login with your registered email address and password to access your dashboard. 2. After you have logged in, you will see a welcome notice just move down on the page you will see "Check 2018 UTME/DE Admission Status on CAPS". admission status, If you have been given admission, you can now go ahead to accept it or reject it. Note: If you are using a phone, you may not see the option to check your Admission Status on CAPS. Most phone users may only see the welcome message. This is why the chrome browser is recommended if you are a using a phone. All admitted students are to check the Federal Poly Nasarawa School Fees Schedule - 2018/2019 | ND & HND and start preparation of the admission process/clearance which will be available soon.